It’s no secret: I love cheddar cheese. 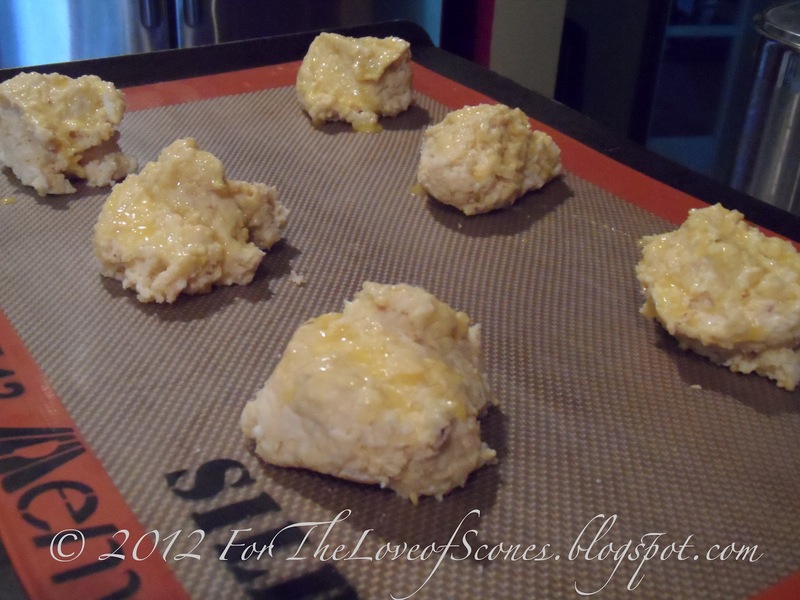 Combining cheese and scones, well, it’s just a matter of time before I try a recipe like that. Luckily, this one was in the Simply Scones cookbook, just waiting for me to try it. 1. 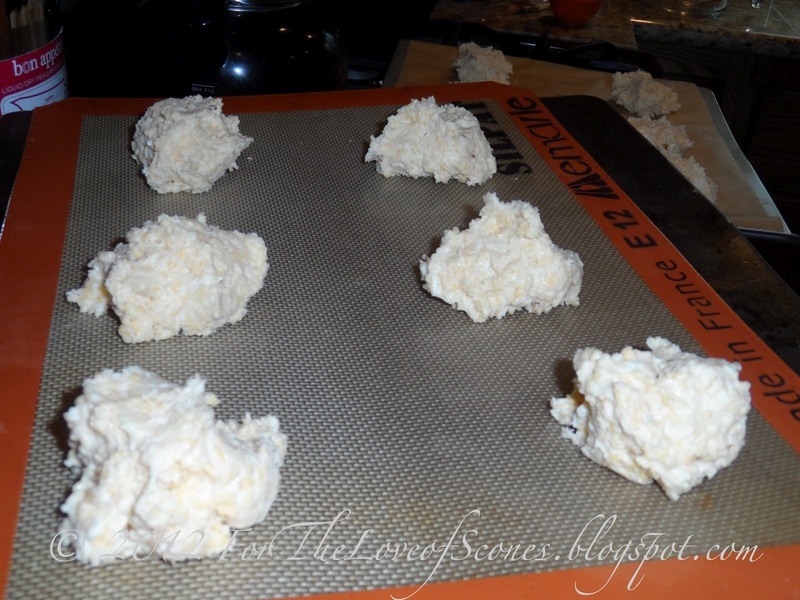 Heat oven to 400ºF and grease or cover a large baking sheet with parchment paper. 2. 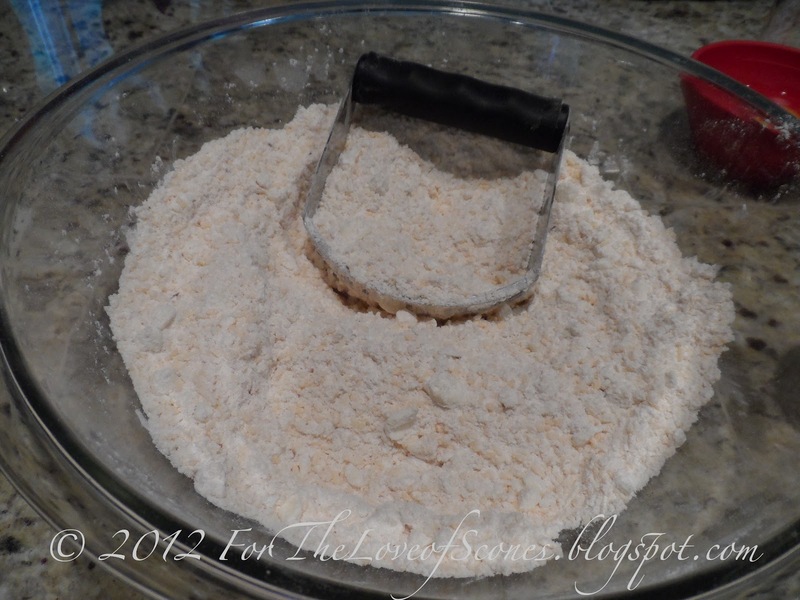 Mix flour, baking powder, salt and spices together. 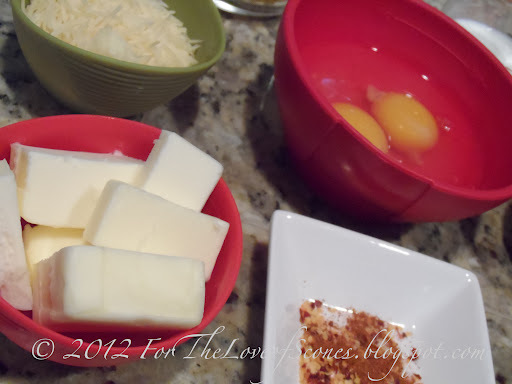 Add all of both cheeses and mix. 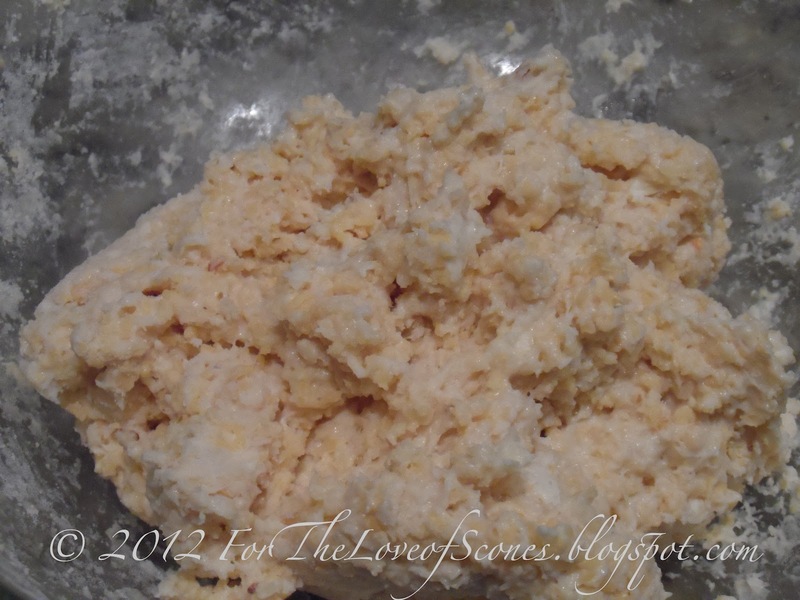 Add the cut up butter and, using knives or a pastry cutter, cut in the butter until the flour mixture resembles coarse sand. 3. In a small bowl, combine the milk and two eggs. Mix well. 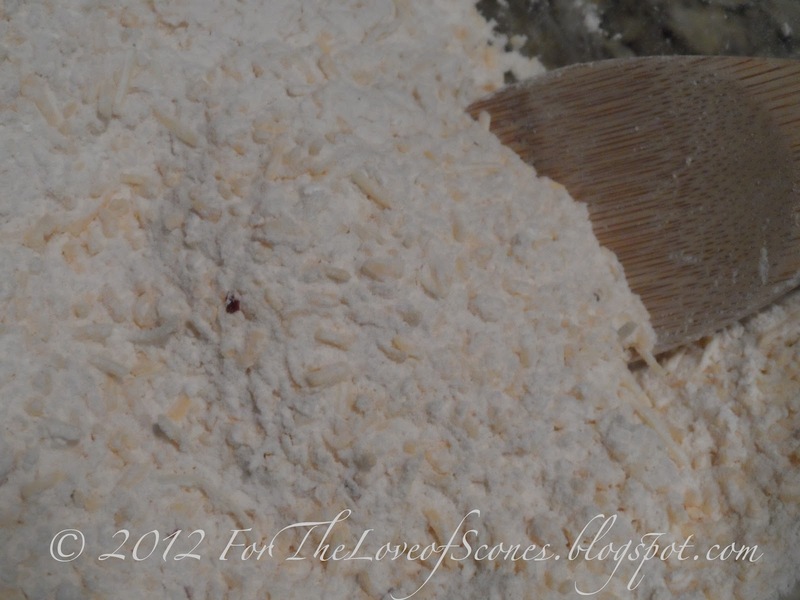 Add the egg and milk mixture to the dry flour and cheese mixture and stir with a wooden spoon to combine. 4. Using a large spoon or a 1/4-cup measure, dollop out onto the baking sheet, leaving about three inches in between each scone. 5. 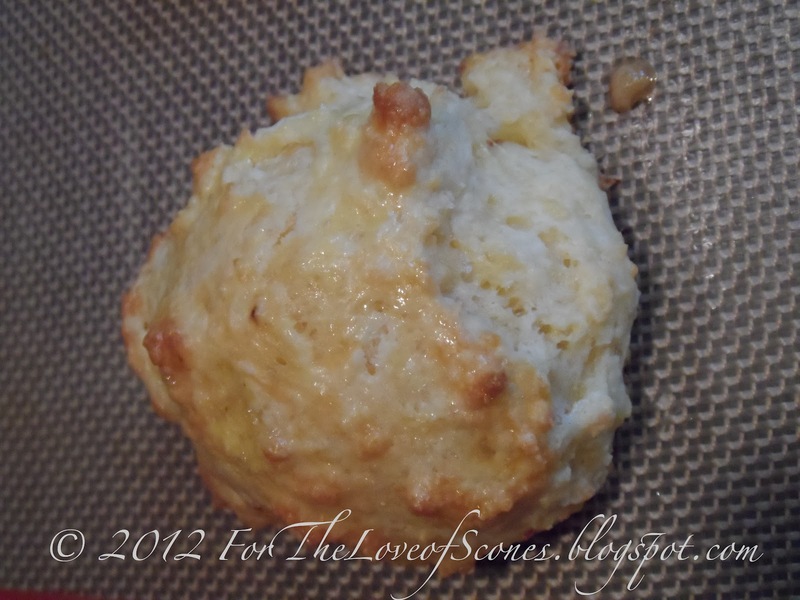 Brush the glaze on the top of each scone. Bake for approximately 17-22 minutes, or until golden. 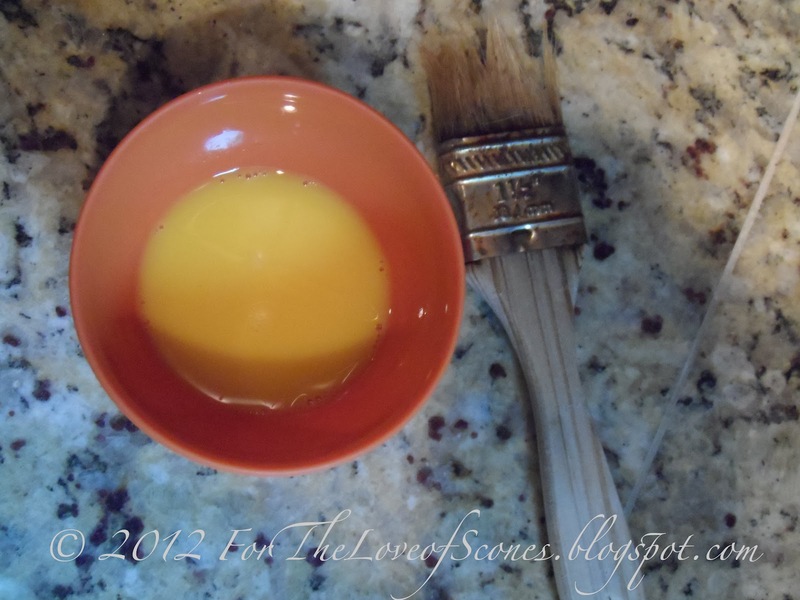 Use a small paintbrush like this, which you can find in the cooking aisle. I love cheddar cheese. 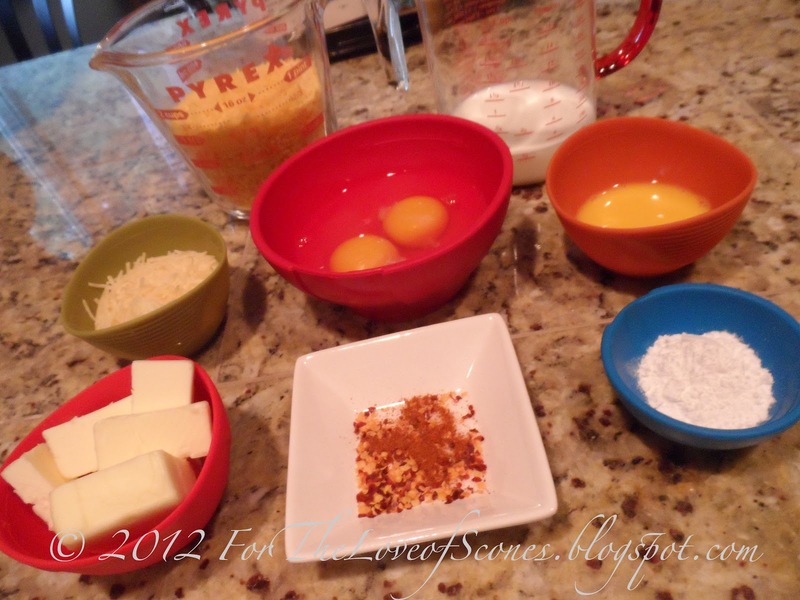 Baking a savory scone with cheddar cheese just combines two of my favorite foods. 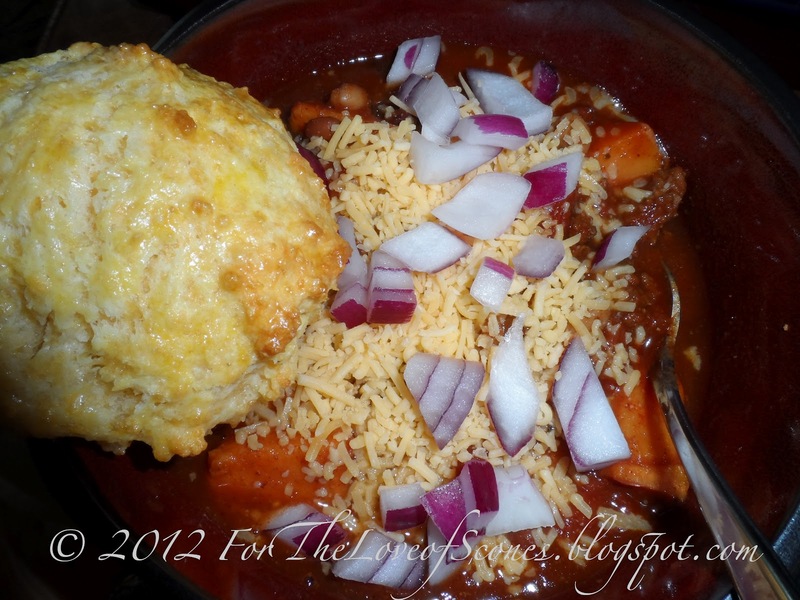 These scones are best served warm, and I find they complement a bowl of chili just perfectly. The spice in them (I added cayenne pepper as well as red pepper flakes) might have something to do with that. 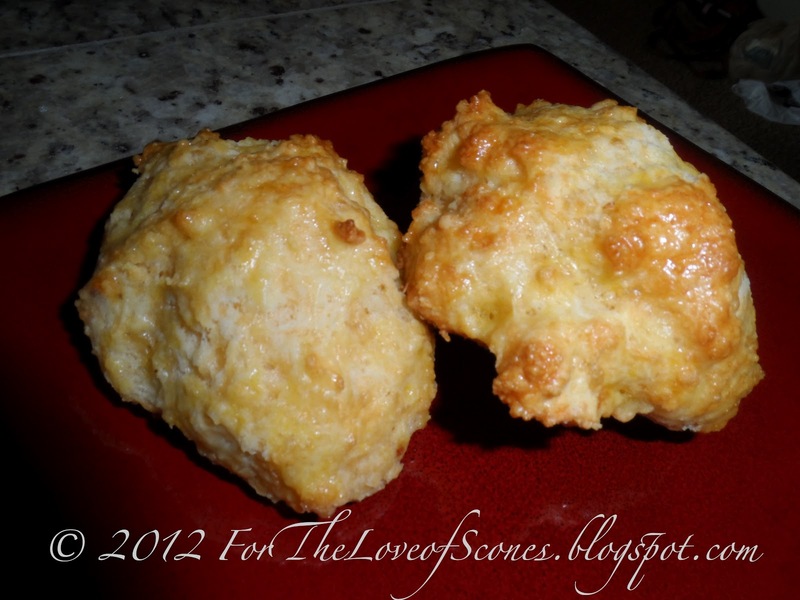 They were quick and easy to make, a scone I will put on my go-to list as a side bread. These go excellently with a bowl of chili.